pen portrayal of Campbell’s mental decline because of Alzheimer’s disease. 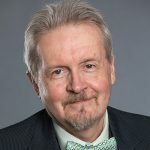 Instead of riding off into the sunset, retiring, and spending his remaining time of mental clarity doing something private, Campbell chose to have this documentary filmed to call attention to the need for research for an Alzheimer’s cure. He also stated that a goal of the movie was to help overcome the stigma associated with the disease and the stereotypes many have of aging. The result is a masterpiece that at the same time will make you cry and laugh, plus examine your own preconceived notions. The movie opens at the doctor’s office where the diagnosis of Alzheimer’s is confirmed. Every day, about 1300 people receive a similar diagnosis, as this movie gently reminds the viewer. Doctor visits continue all through this film, chronicling Campbell’s decline. These scenes were painful to watch because you can see the subtle changes in Campbell’s personality and ability to remember. 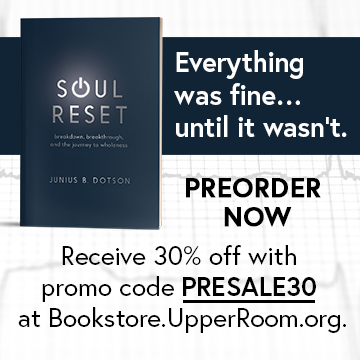 For me, the scenes brought back memories of watching similar declines in a number of people: those I served in ministry, friends I had to relearn over and over again because they were always different, and family members whom I grieved because every time I saw them in the grip of this disease, a little more of them would be gone. As viewers watch the movie, they are confronted with issues of identity and understanding. Who are we? Is who we are a measure of what we do or have done in life? Is it a measure of our ability to remember, to think, to create, to express ourselves? Is who we are to be viewed at one point in time or over a lifetime? 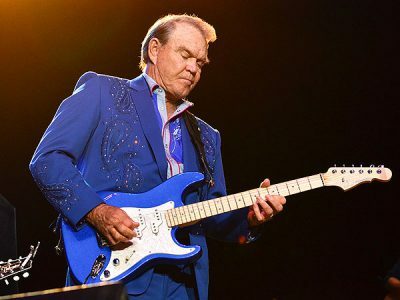 Many people have envied Glen Campbell for his ability to play the guitar, for his fame and glory, and for the fortune he has been able to accumulate. This documentary painted a great picture of his incredible accomplishments. I wonder if Campbell were given a choice if he would trade the fame and accomplishments for a life free from Alzheimer’s disease? The rest of the documentary showcases the concert tour, which highlights the challenges of pulling it together with the star’s memory lapses. It also shows the effects of the decline on Campbell’s family. The movie looks at the extraordinary influence Campbell had on other musicians and celebrates his work in song. The tour was originally supposed to last for 5 weeks and to be 10 concerts, but it turned into at least 60 concerts over 151 weeks. Campbell and his team found ways to adapt to the challenges posed by his memory loss. The tour concert footage includes extended interviews with Campbell, his wife, and his children. While the film does not gloss over the effects of the illness, it does not try to shock the uninitiated into the disease’s reality. It does portray openly the frustration, grief, and anger the disease leaves in its wake. It also reveals the paranoia, aggression, confusion, and lashing out that are characteristic of someone moving into the middle stages of the illness. In one scene, Campbell loses it on stage; but in an extraordinary and surprising way, the audience is accepting and showers him with love. The documentary is, of course, a retrospective of Campbell’s songwriting. One song serves as a swansong for Campbell, and it ties the film together: “Not Gonna Miss You.” It was originally written as a love song for his wife. In the film, this song becomes a heartbreaking tribute to Campbell’s unconquerable spirit and legacy. This film originally appeared in movie theaters in October 2014 and enjoyed a short run before CNN became interested in the film and purchased the rights. CNN plans to show this film several times this summer, so look in your local listings for it. I decided to review this film with the hope that the church will respond to Alzheimer’s as a part of its older adult ministry. It is well documented that Alzheimer’s disease and other dementias tend to affect older adults. Since the average age of United Methodists in our churches is almost 60, this disease will affect many within the church in the coming years, either directly or indirectly. Most churches can easily sponsor an Alzheimer’s Association Support group. Invite the Alzheimer’s Association to train a volunteer support group leader from your church ( Alzheimer’s Association – http://www.alz.org/join_the_cause_volunteer.asp). Consider hosting the group in your church or partner with the local chapter to work with existing support groups or form new ones. It is vital to enlist the support of clergy if you intend to sponsor an Alzheimer’s Association Support group. The group Clergy Against Alzheimer’s ( Clergy Against Alzheimer’s – http://www.usagainstalzheimers.org/networks/clergy ) was formed to help recruit clergy leaders to share with their congregations the need and vision to work together to support those who suffer from this disease. Note: Clergy Against Alzheimer’s is a part of the much larger US Against Alzheimer’s. The group has joined together to produce a collection of meditations from diverse faith communities, designed to speak a word of support for those most affected by Alzheimer’s and other dementias. The collection can be used as a devotional, as sermon starters for healing or in annointing worship, and during pastoral visits. It is available from them or from Amazon. Will Randolph is the former Director of Aging and Older Adult Ministries at Discipleship Ministries.